The protests in Venezuela demanding an end to the presidency of Nicolás Maduro in the last 10 days of January, whose soundtrack was the sound of banging on pots and pans in working-class neighbourhoods, had a high human cost: more than 40 deaths, dozens wounded and about a thousand detainees, including 100 women and 90 children under 18. 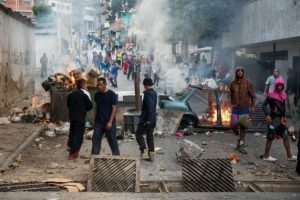 In Catia, a working-class neighbourhood west of Caracas, a number of young people were shot dead between Jan. 21-25, while National Police and military National Guard commandos demolished improvised roadblocks and barricades made with trash, managing to quash the protests. “They managed to do it. The local residents say that in the streets where several of these boys fell, silence and solitude have prevailed after 6:00 PM. The pots and pans have not returned,” sociologist Rafael Uzcátegui, head of Provea, an organisation that has been recording human rights violations in the country for decades, told IPS. These protests have two special elements: they are taking place in neighborhoods and sectors that until recently formed part of the government’s social base, reflecting the anger felt by the poor in the face of the country’s socioeconomic collapse, which has turned their protests into “mini-Caracazos,” recalling the violent protests given that name in February 1989, which resulted in hundreds of deaths. Maduro, 56, who governed the country from 2013 to 2019, was sworn in on Jan. 10 for a second term after winning an election in May 2018, the results of which were not recognised by the legislature or by most of the opposition or the governments of the Americas and Europe. The opposition-controlled National Assembly refused to recognise Maduro’s re-election and the president of the legislature, Juan Guaidó, 35, declared himself acting president on Jan. 23, before a crowd in Caracas, while mass opposition demonstrations were held in some 50 cities. 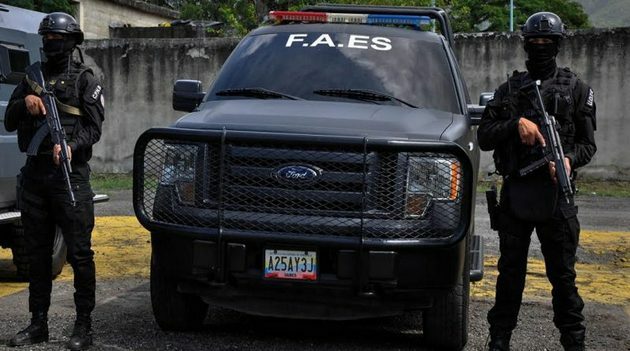 Since Jan. 21, when 27 members of the National Guard mutinied in a barracks in the neighborhood of Cotiza, north of Caracas, refusing to recognise the re-election of Maduro, “cacerolazos” – pots-and-pans protests – spread, and groups of local residents in poor neighborhoods of the capital and cities in the provinces improvised barricades and clashed with the security forces and irregular civil groups of sympathisers of the ruling United Socialist Party of Venezuela (PSUV). The Jan. 21-25 crackdown left 35 people dead, dozens injured by bullets or plastic pellets, and 850 arrested. “On Jan. 23 alone, 696 people were arrested – the largest number in a single day of protests in 20 years,” lawyer Alfredo Romero, director of the Penal Forum, an organisation that follows the question of those detained for political or social reasons, told IPS. He and his young friends were banging on pots and pans near his family’s barbershop on the night of Jan. 22 in Villa Bahia, which is located in Puerto Ordaz, an industrial city on the banks of the Orinoco River, 500 kilometers southeast of Caracas, when National Guard units captured him and six others and took him to a barracks that guards a steel plant.